Sort of like The 20/20 Experience itself, the video for Justin Timberlake’s eight-minute single “Mirrors” is comprised of two parts. 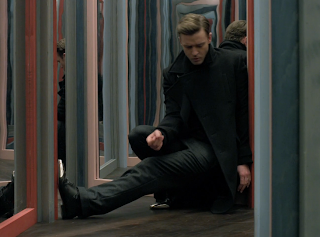 What begins as a tale of two lovers through several decades eventually segues into scenes of Timberlake dancing in front of — you guessed it — a mirror. Watch it all unfold below. Update: As MTV points out, the video is a tribute to Timberlake’s grandparents William and Sadie Bomar, and the video is presumably based on their relationship. Floria Sigismondi (The Runaways) served as director. The 20/20 Experience Vol. 1 saw light today, as did our review of the album, which you can read here. Vol. 2 should arrive later this year.